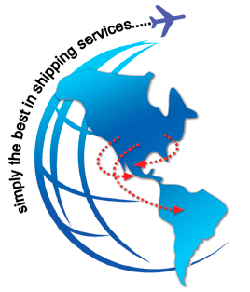 Lomas Renacimiento is an International Shipping Service in operation since 1986, providing highly professional services around the world. Lomas Renacimiento is a member of NFDA (National Funeral Directors Association), as well as active member of ALPAR (Funeral Association of Latin America Funeral Homes & Cemeteries), with associates in every city in the United States. Our International Division has a well-trained staff of qualified bilingual counselors. We provide a Professional Death Care Quality Service nation-wide within the Mexican Republic and every country of Central and South America. We are a Division of Lomas Renacimiento the last word in modern Cemeteries, counting with the necessary installations for nine Funeral Parlors, Crematory and Religious Chapel. Conveniently located within Mexico City’s limits We are dedicated professionals specializing in Funeral and International Shipping Services, with direct repatriation of human remains, from or to any part of the world: we handle everything, from reception of the body at any Airport in any country and transfer to his birth place or wherever the family wishes the body to be transferred. Besides, with all the additional services required. Our Company is fully reliable and dependable, that assures the best services with care, compassion and dignity, in one word, complete Mortuary Services that you can trust, at very competitive prices. The services we offer are affordable and cost efficient. Please feel free to contact us for a quotation for your next International shipping of human remains.